About Us – Record Riots! Now it’s almost ten years later and we’ve added (and subtracted) shows to the Record Riot lexicon. Some didn’t work out or died from indifference (New Hope PA, South Jersey RR), others might be brought back life at any moment (Westchester anyone? 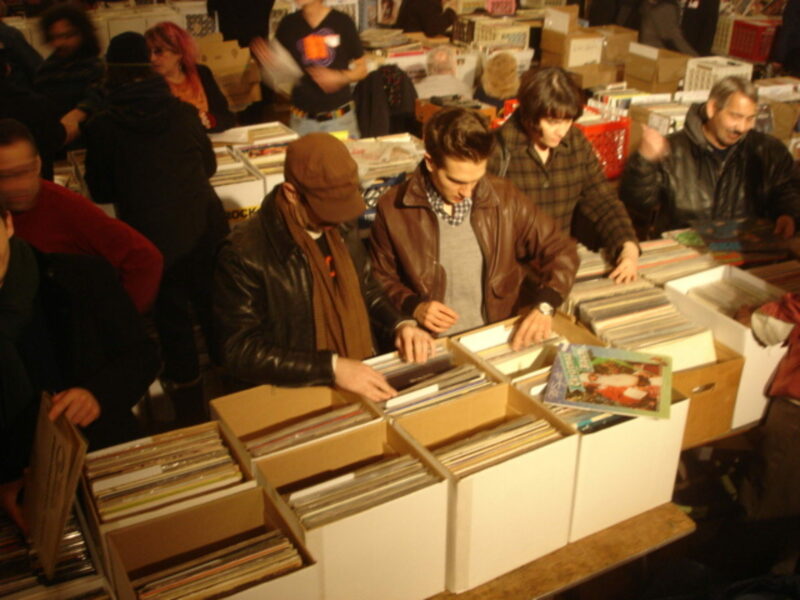 ), but Record Riots now have a solid base of quality record-buying events, ranging from Central Connecticut to Philly to Jersey City and up the Hudson River to Albany. While most record shows may seem the same from the outside, so do most dry cleaners or law offices—and clearly there are differences in those businesses. Record Riots exist where the interests of the customer and the dealer intersect, and it’s gotta work for both parties. The location has to draw customers, the dealer has to make money & it must be FUN too. If these three things don’t happen, we eventually shut down the show, even if we could make money by continuing. Because we are customers & dealers also, and we know that there are other things that you could be doing with your time and energy. We listen to everyone and never assume that we know everything. And we try to provide quality dealers, great music, the proper ambiance for record shopping. And how many late night phone calls have we had: “Steve, so-and-so really wants to sell. Can we squeeze him in?” or “We better get there early to set up extra tables.” or “Let’s get that great local DJ for the show.” We do our best, in our personal relations with you, with promotion and advertising, with interesting locations and venues. And like we say: “A Record Riot could be coming to your town.” And it just might.